AppFutura starts a Ranking Series of the best developers in different categories. The mobile app development has opened doors to creativity, originality and entrepreneurship. In our worlwide developers directory you can find companies and freelancers willing to show their hard and good work on app development. That’s why we want to reward them by giving the recognition that their jobs deserve. This is the Top 10 of the Best Mobile App Developers in India 2015. Let’s take a look. 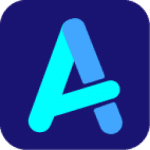 AppInventiv has more than 200 apps built, a team of over 100 experts and it is an ISO certified mobile app development company. Their presence is global with teams across Euope, Asia and US. They have experience in Wearables, augmented and enterprise. The platforms that they use are iOS, Android, Windows and HTML5 among others. Their commitment to quality provides them with unique and creative ideas. At E2logy’s portfolio you will find iOS, Android, Windows Phone or Blackberry apps created with Native, Hybrid or Cross Platform technologies. The company has a team of 100 developers and designers with Mobile backend systems and social networks integration experience. 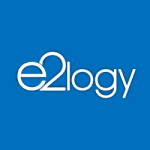 E2logy was ranked into Deloitte Tech Fast 50 India and Tech Fast 500 Asia Pacific in 2011. They also have ISO 9001:2008 and ISO 27001:2005 certifications and partnership with Amazon, Appcelerator and CompTIA. More than 20 years of experience in technology provide the client with a genuine assistance. Innovative, creative and high-quality mobile applications. 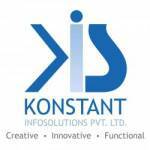 Konstant Infosolutions provides clients with an integrated service including consulting, development and implementation of apps. Over 170 employees (project managers, web developers, web designers, QA specialists) work on apps for companies of different sizes. More than 12 years of experience and 3.500 projects allow Konstant to bring your app into reality. 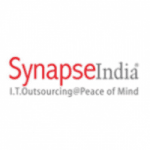 SynapseIndia extends their work to mobile and web development, as well as end-to-end IT-enabled solutions. They work with different industries such as Automobiles, Health & Fitness, Pharmacy, News, Travel, Finance or Music. With more than 15 years of experience and a team of 500 people, SynapseIndia works with iOS, Android, Blackberry and Windows Phone. Some of their certifications are: Certified Gold partner with Microsoft, CMMI Level 3 and Google Adwords Certified Partner. The apps created by SynapseIndia follow values like decision, thinking beyond the box and goal orientation. 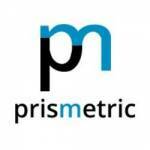 Prismetric provides a customized platform for web and mobile application development. It also offers SEO and Marketing for international businesses. Prismetric works for both small and large companies. The enterprise assures quality and low cost due to offshore locations. Quick revisions, feedback and customized solutions are delivered in time to the client. Prismetric has a strong non-disclosure agreement (NDA) to safeguard the clients’ intellectual rights from unintended usage. 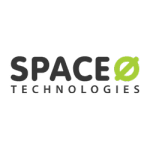 Space-O recommends its own software during the app creation process: Contemporary Software Development Methodology, which allows changes within the development process, mostly for Fixed Price/Time projects. It is a space where all members of the team and the client collaborate. For larger projects, Space-O works with phases. The company has developed more than 200 apps for iPhone, iPad and Android using Native, Hybrid, iWatch or Health Kit. Space-O has offices in India and Russia with skilled teams and analysts. Their focus are mobile apps for iPad, iPhone, Apple Watch and Android. 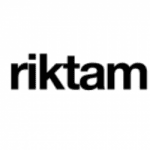 Riktam has created more than 200 apps for iPhone, Android and Windows phone. Multiple teams work together so the final product is unique and it has quality. Their apps are focused on companies and final users. Reliability and Partner mentality are just two of the values that Riktam follows. The assistance to the client is continued. Agile was founded in 2006 in India. Nowadays it has more than 150 employees specialised on iPhone, Andoid and PhoneGAP application development. It is an Offshore Development Outsourcing IT company that works with industries such as Finance, Health, Real Estate or Business Services. Agile Infoways looks for mutually beneficial business relationships with clients based on respect and trust. The company offers transparent work, expert teams, NDA and support 24/7. At Agile, understanding clients and creating long term commitments is the key. 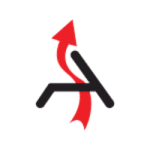 More than 30 highly skilled programmers take part on the creation of iOS, Android and Web development at AppSquadz.They also offer project management, consultation and design. 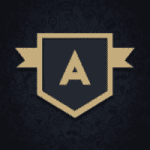 After creating 100 apps, AppSquadz can provide an easy communication, flexibility in the development team, new ideas to improve and a reliable partner. Mobulous has expertise in iPhone and Android mobile app development. The team consists of 15 experienced iPhone developers, 10 Android and 5 UI designers. 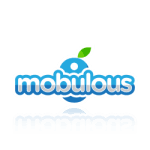 Mobulous offers end-to-end mobile solutions for iPhone, Android, Tablets, Windows and Web. Even though they started in 2013, the company has developed and delivered more than 250 products. The apps that they have developed include industries like: Enterprise, Navigation, Healthcare, Wearable Technology, Augmented Reality, Games, Media or Finance.Mobulous bets on Project Managers to assist clients and take care of the app development process. All this companies have profiles on AppFutura. Feel free to contact them if you have an interesting project that meets their requirements. The team of AppFutura has been in touch with all of them personally to confirm their works and their mobile app development capabilities.